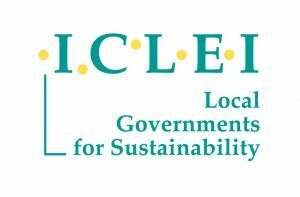 Every year over 400 participants from cities (local governments), international organizations, NGOs, business and academia join ICLEI Resilient Cities Congress for a discussion on topical issues in urban resilience and adaptation to climate change. This special 10th anniversary edition of the Congress will feature a spacious and luminous open exhibition area for participants to mingle and network in between sessions and during coffee breaks. Seize the opportunity to present your projects to an international and multidisciplinary audience while engaging directly with a wide range of resilience experts from various geographical and professional backgrounds. Why become a Congress Exhibitor? 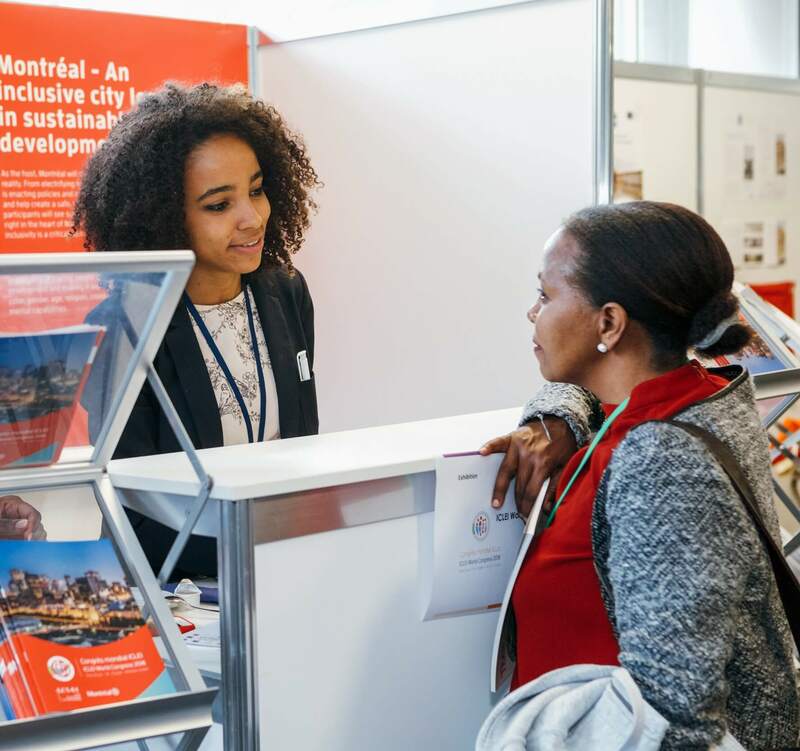 Exhibitors are featured on the ICLEI Resilient Cities website as well as in the program booklet. 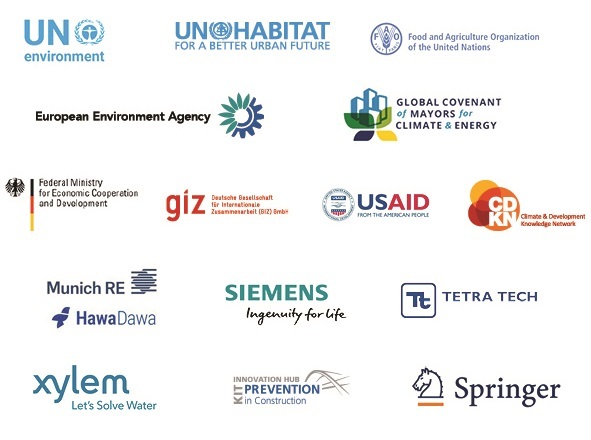 We welcome organizations and companies both from public and private sector to showcase their work over the course of this three-day event in Bonn, Germany. Among our previous Congress Exhibitors: UN-Habitat, UN Environment, Food and Agriculture Organization of the United Nations (FAO), The German Federal Ministry for Economic Cooperation and Development (BMZ), European Environment Agency, European Green Capital, Munich RE, Plantagon International, Siemens, Tetra Tech, Xylem, and many other organizations and companies. Sets of furniture at a reduced price: exhibitors have the option of choosing between sets of furniture and individual pieces of furniture, or they can combine both options. 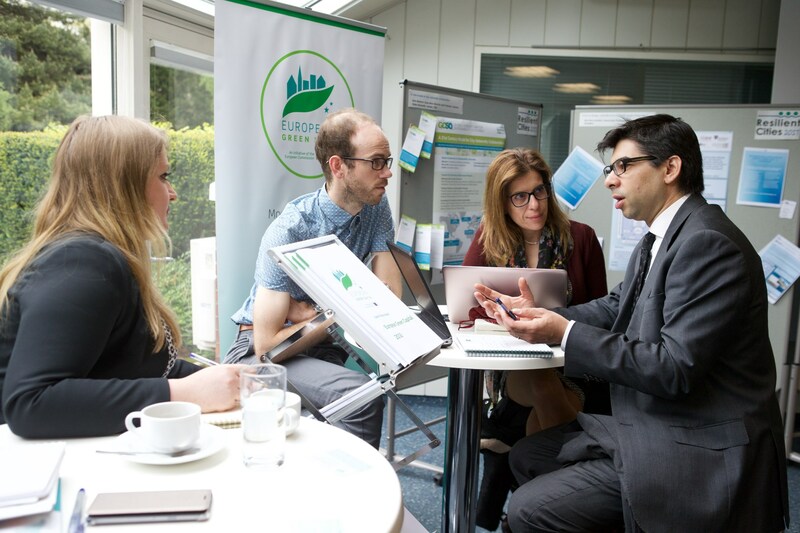 Please contact us directly at resilient.cities(at)iclei.org should you be interested in becoming a Congress Exhibitor. Ideally situated on the ground floor of the congress venue, Gustav-Stresemann-Institut, the exhibition area is a glass-walled open space with direct view and access to the garden. Its spacious proportions ensure the possibility to welcome exhibitors in a positive and interactive atmosphere.